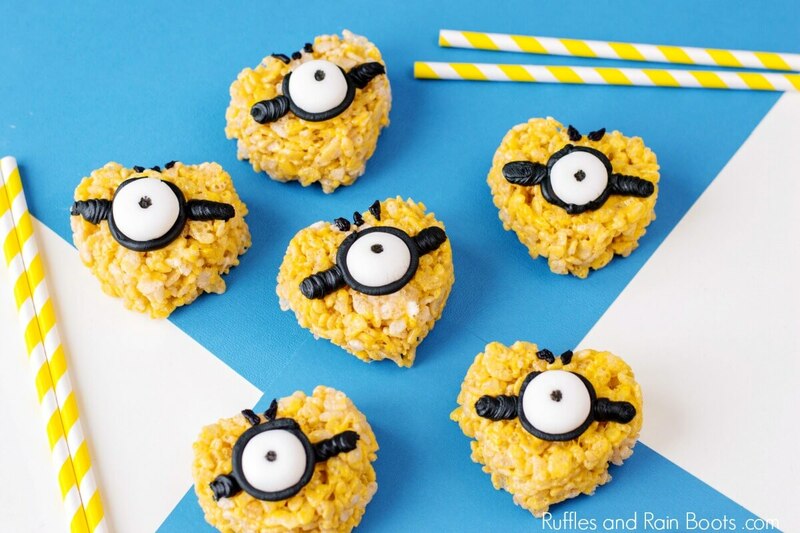 Adorable Minion Rice Krispies treats for kids will bring the smiles and satisfy a sweet tooth! 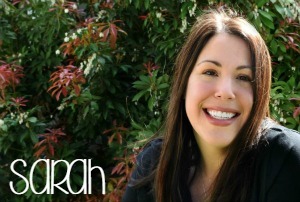 And I’m sharing tips to make the most delicious and cute rice cereal treats! There’s just something fun about food in fun shapes, right? 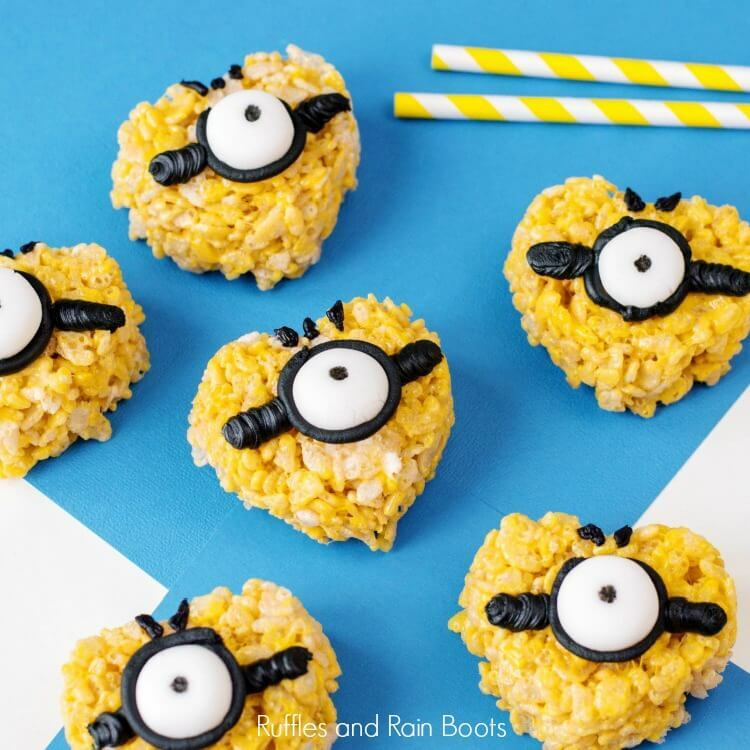 Here at Ruffles and Rain Boots, we love fun (and food), so it only made sense to put together these heart-shaped Minion Rice Krispies treats. This rice cereal treat recipe is easy to put together and the kids love to help. Bring the kids in the kitchen and let them help make this easy rice cereal treat recipe. The decorations are minimal which also makes it a good recipe for kids. As an Amazon associate, I can earn from qualifying purchases. You can read our full disclosure policy. The entire recipe is below, but if you’re new to making Rice Krispies treats, here are the basic ingredients for a Rice Krispies treat recipe. I’ve also included a few supplies you’ll need handy. heart-shaped silicone pan (we used this heart pan from Amazon – easier than a cookie cutter! This is an easy dessert so fun Rice Krispies treat ideas like this can be enjoyed by everyone. After making our fair share of them, here are our top tips for making Rice Krispies treats. You can buy Rice Krispies Treats already made. It’s really helpful if you’re putting together a lot for a class party, birthday party, or for a large display (these are our favorite size). Note: if you MAKE them, you are making gluten-free Rice Krispies treats. If you are buying them, they are NOT gluten-free. Mix the marshmallows and butter constantly until the marshmallows are melted. Add colorants when the marshmallows are almost melted completely. The marshmallow mix is HOT. If you have kids helping, an adult should transfer the mix to the cereal and stir. These Minion Rice Krispies treats bring the fun to Valentine's Day! 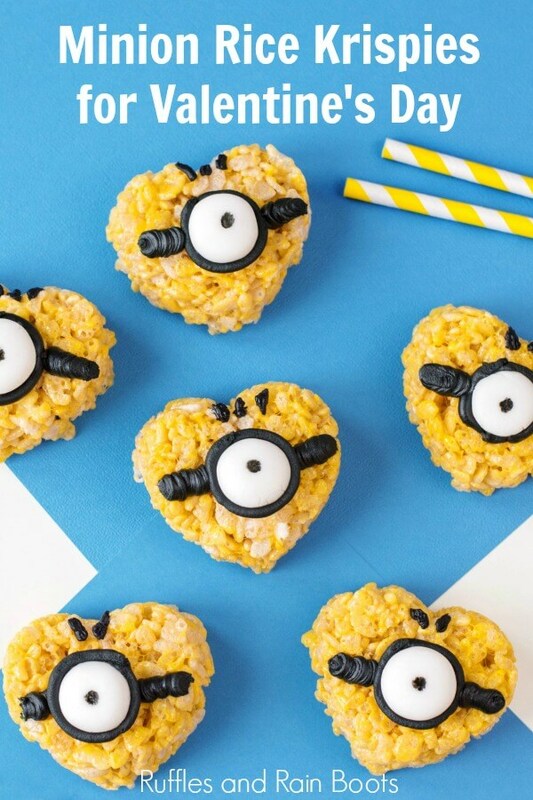 Make these heart-shaped Minions for your biggest fans. Spray the heart pan with cooking oil and set aside. Place rice cereal in a large bowl. In a medium-sized sauce pan, melt butter over medium heat. Once melted add marshmallows and stir constantly until melted. Add 2 drops of yellow coloring and stir. Add melted marshmallow mixture to the Rice Krispies and fold until fully incorporated. Scoop into heart molds and pack tightly. Allow it to set for 30-minutes. For the fondant eyes, roll 6 balls about 1/2-inch thick. Flatten by pressing down on them lightly. 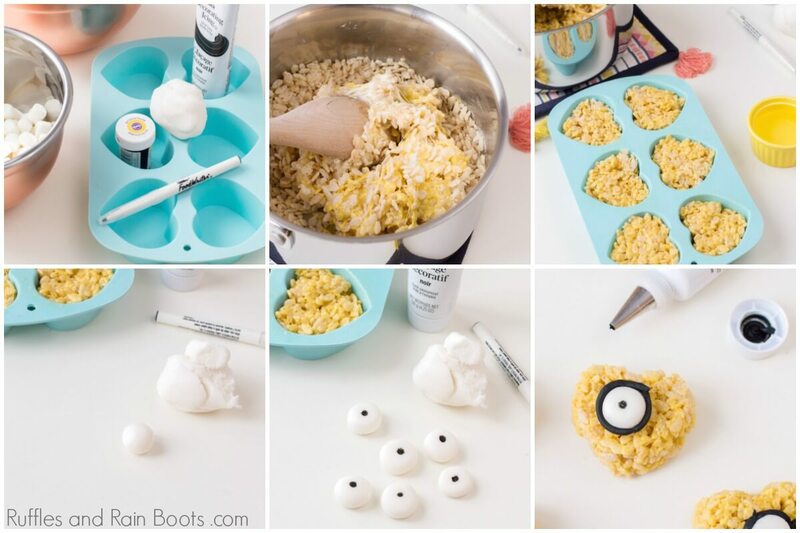 Add a pupil in the center of the eye with the edible marker. 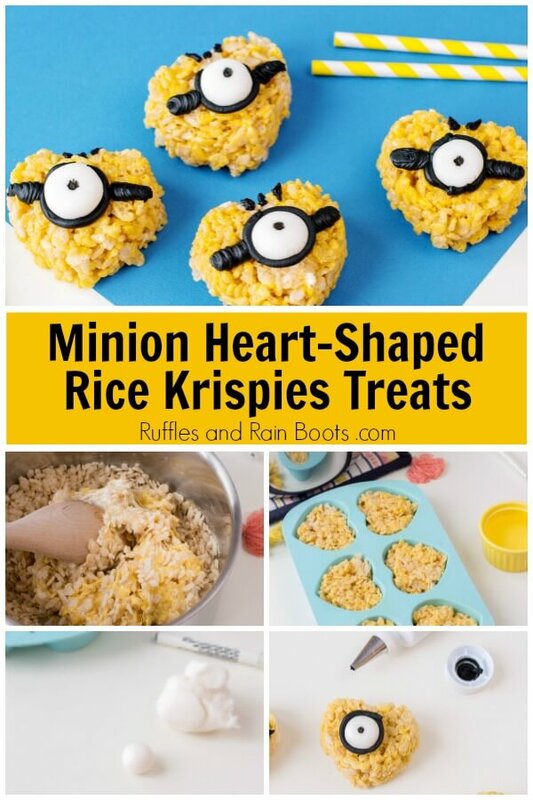 Gently remove the Minion Rice Krispies treats from the mold. Affix an eye (fondant or candy) to the center of the treat. Use the frosting to outline the eye and make the lines on either side to form the googles. Add small stripes to the tops of the hearts for the hair. All nutrition information is estimated. Please calculate your exact brands and ingredients when accuracy is desired. We love making crafts here at the ‘Boots and would love to share them with you. Sign up to receive our weekly newsletter and you’ll get access to the Hand Lettering Library, the Exclusive Library, and be kept up to date on all tasty treats! You might have noticed we know how to make the best Rice Krispies. Here are a few more of our popular rice cereal treat ideas. Football-Shaped Rice Krispies Treats – These are great for booster club fundraisers! Football Field Rice Cereal Treats – Kids LOVE to help make these. Your shares are how this site grows and I am sincerely grateful.